Though our impact is much further reaching than the harm caused to any given species, I felt that a few spotlights might make the problem a little easier to digest. 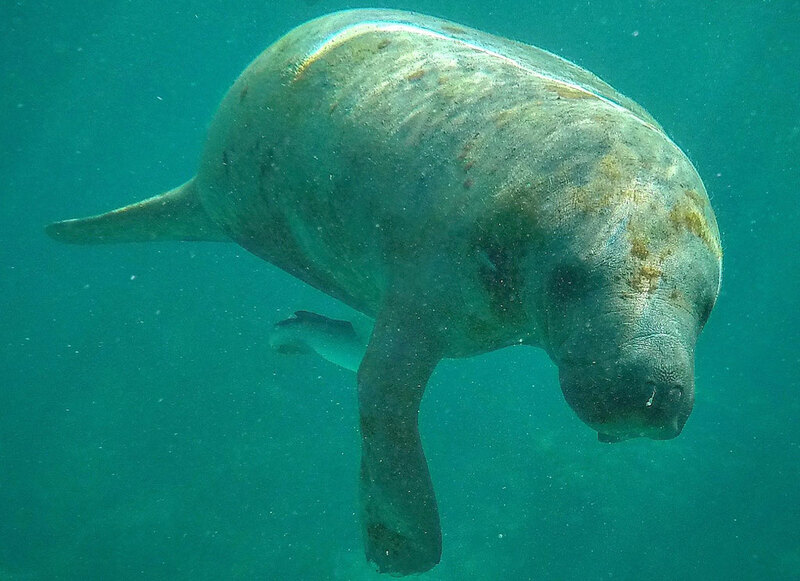 This photo depicts a West Indian (Antillean) Manatee, which was spotted during a snorkelling trip from Caye Caulker in Belize. Sometimes referred to as 'sea cows', these fascinating creatures prefer shallow, warm water where they can graze, and are largely solitary. Sadly, they're endangered. Estimates suggest there are fewer than 2500 adults remaining in the wild. In the past, their numbers dwindled when Caribbean islanders hunted their meat for food and their bones for alternative medicine. Today, poaching is still a threat, as well as habitat degradation, entanglement in fishing nets and collisions with boats. Adrianwen can be found at beyondblighty.com, on instagram, twitter or facebook. The Tortugueros Las Playitas in Todos Santos, Baja California, Mexico, manage the conservation of the critically endangered Pacific Leatherback turtles which are almost extinct, the endangered Black Turtles, and the vulnerable Olive Ridley turtles. The program runs from October to May depending on the nesting season. Volunteers and staff relocate the nests for incubation in the sand in an enclosed beach area to protect them from predators. Come the end of November, they release the hatchlings regularly, mostly at sunset to limit the exposure to predatory birds. 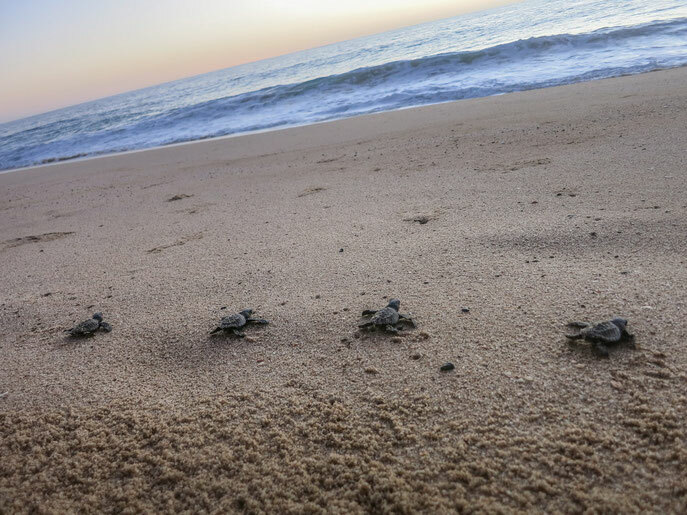 The hatchlings are set free close to the shore break, so they can remember the magnetic signature of the location as they run over the sand while reaching to the waves in a shorter time. You can find Patricia at www.ZeWanderingFrogs.com, on facebook, instagram and twitter. We’d heard it was the perfect time of year to see spotted eagle rays when scuba diving at the shipwreck near Isla Mujeres in Mexico. As we slipped under the cool surface of the water we could see them immediately; a whole school of about ten rays circling the wreck. It was rare to see them, especially in groups, so I was more than ecstatic when two rays circled each other directly over my head. 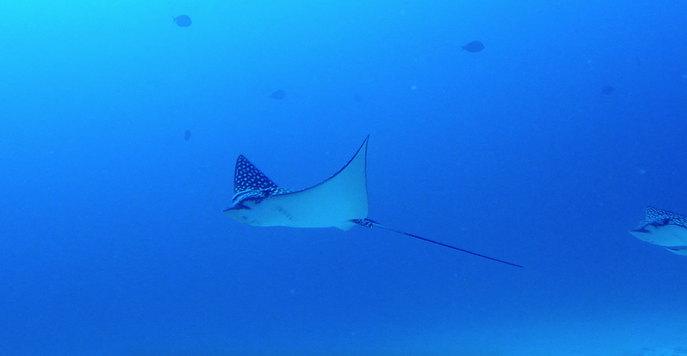 Spotted eagle rays are “near threatened” on the ICUN Red List due to fishing for large aquariums mainly in Southeast Asia and Africa. They can also accidentally be caught in nets. In some places such as Florida in the US and on the Great Barrier Reef in Australia the rays are a protected species, and South Africa have deployed fewer shark nets to reduce deaths by entanglement. You can find Crystal at castawaywithcrystal.com, on facebook, twitter and youtube. We were fortunate enough to view numerous penguins up close (including the Gentoo penguins pictured above) on our trip to Antarctica. 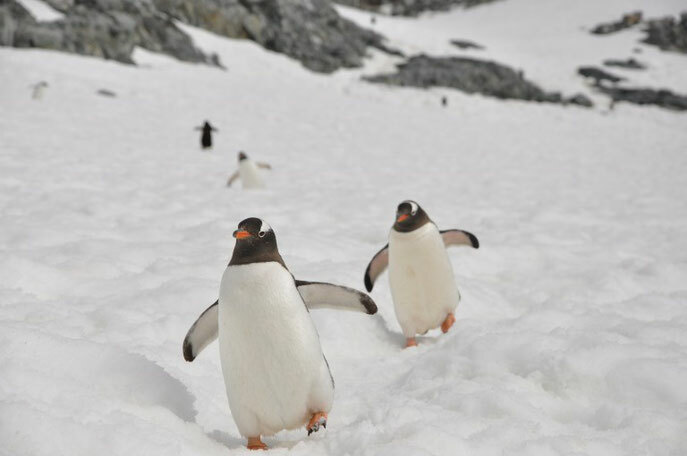 The White Continent is one of the best places to spot various species of penguins but there is a growing concern that climate change may diminish their food supply and contribute to habitat loss. As the Antarctic Peninsula heats up, the sea ice that penguins depend on for breeding and access to food basically melts away. Matilda can be found with her sister Patti at The Travel Sisters website, on facebook, twitter or pinterest. 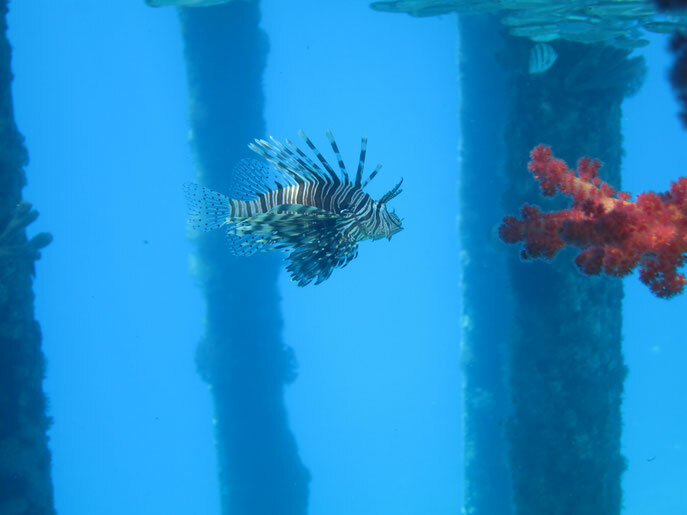 I spotted this lionfish when I was scuba diving in Jordan, south of Aqaba on the Red Sea coast. The lionfish is poisonous to the touch, so it doesn’t need to dart away if another creature gets near. The Red Sea coral reefs are declining less quickly than reefs in other parts of the world, but global warming threatens all coral reef ecosystems. 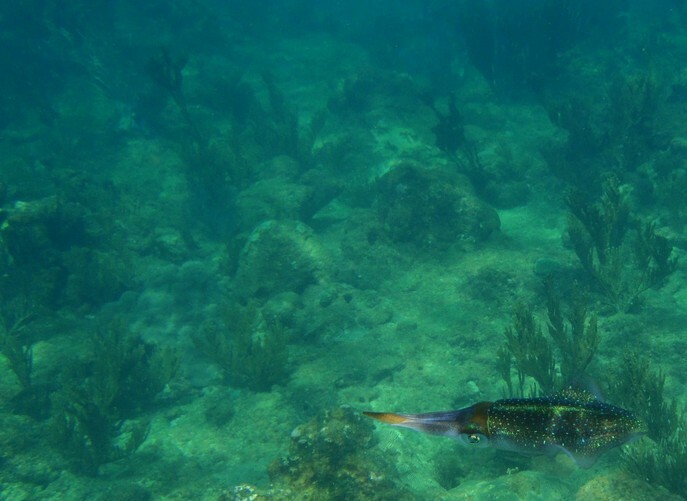 At the same time as this particular fish is under threat, it forms a threat in its own right in the Caribbean and the Atlantic. There, it is an invasive species. Without natural predators, it has multiplied quickly, and damages the ecosystem by gobbling up more than its share of smaller native fish. Rachel can be found at Rachel’s Ruminations (rachelheller.org), on instagram, twitter or facebook. Manta rays (or simply called Mantas) belong to the family of rays and are found in both tropical and subtropical seas. The largest species reach seven meters in width, and these animals eat plankton, which they swallow with their open mouth, just like whales. Mantas reproduce quite slowly, and are listed amongst vulnerable species by the IUCN. They often get caught in fishing nets, and are killed for their gill rakers, used in Chinese medicine. 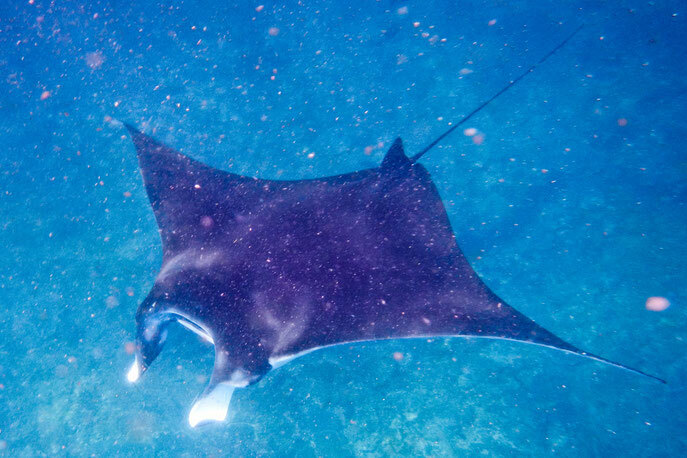 We had the chance to swim with manta rays near the shores of Nussa Lembongan Island, a small island situated to the South from Bali in Indonesia. 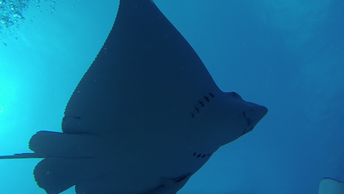 We swam together for a while with a group of half dozen manta rays. 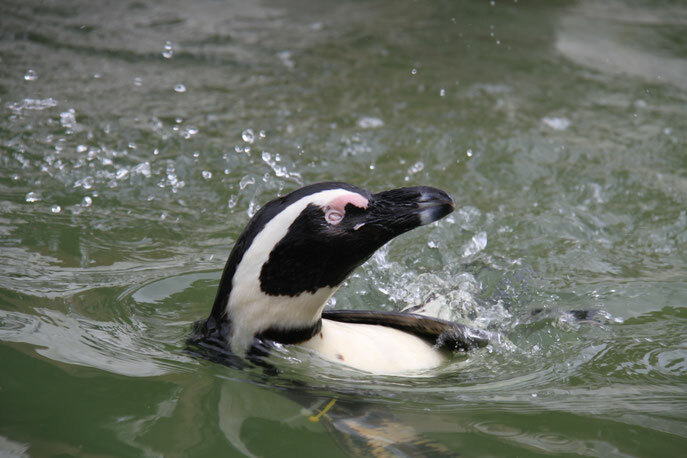 This African Penguin is a permanent resident of SAMREC in Port Elizabeth, a South African Marine Rehabilitation and Education Centre that look after injured, stranded and oiled marine birds. Due to the eye injury this penguin will never be able to survive in the wild and she is cared for and looked after at SAMREC (she also fell in love with another one-eyed penguin at the rehabilitation centre and after a long courtship a few penguin chicks followed). The dapper-looking African Penguins in their black and white tuxedos live in colonies on the islands between Namibia and Algoa Bay near Port Elizabeth (South Africa) and there are also two land-based colonies in the Western Cape (Boulders Beach in Simon’s Town and Stony Point in Betty’s Bay). African Penguins are endangered; there has been a big crash in their population (more than 50% in the past thirty years) and they’ve been sliding towards extinction because of present day commercial fisheries’ over-fishing, global warming, pollution in the ocean and oil spills. But, even though those factors did not play a role a century ago, acts from the 1900s, like removing thirteen million eggs for consumption because it was seen as a delicacy and collecting guano for fertilizer, also contributed massively towards the current situation of the African Penguins. There are believed to be only 18,000 breeding pairs left in the wild and due to the penguins’ monogamous behaviour losing one penguin actually means that you are losing two penguins. Anje can be found at www.goingsomwhereslowly.com, on facebook, twitter or instagram. The Atlantic grey seals are such beautiful and playful animals. Interesting fact is 40% of the world's grey seals population lives in the UK! I had the luck to dive with them in the Farne Islands, just south of Scottish Border near Seahouses, Northumberland, England. 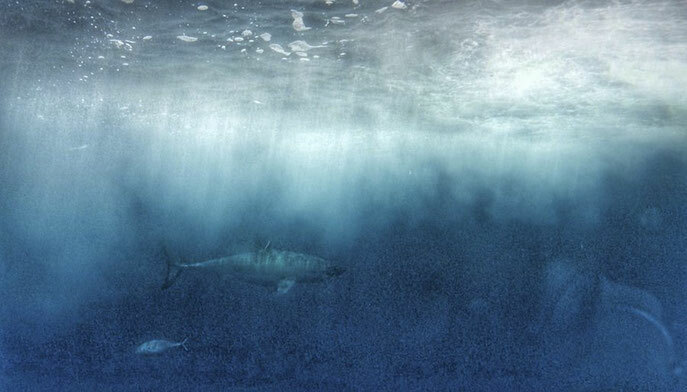 While underwater, the least you move, the most likely they will come close to you. I even had one kissing my camera while filming! 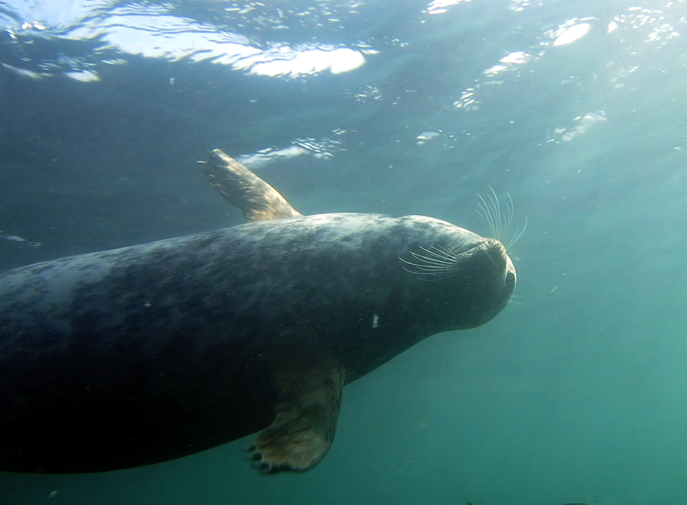 The Farne Islands are a marine protected area where they thrive. Unfortunately, they are threatened in Scotland by the salmon farming industry. Because they are attracted by this artificial concentration of fish, they are accused of killing fish so fish farmers started to shoot them. If they are a protected species, how can we tolerate that? 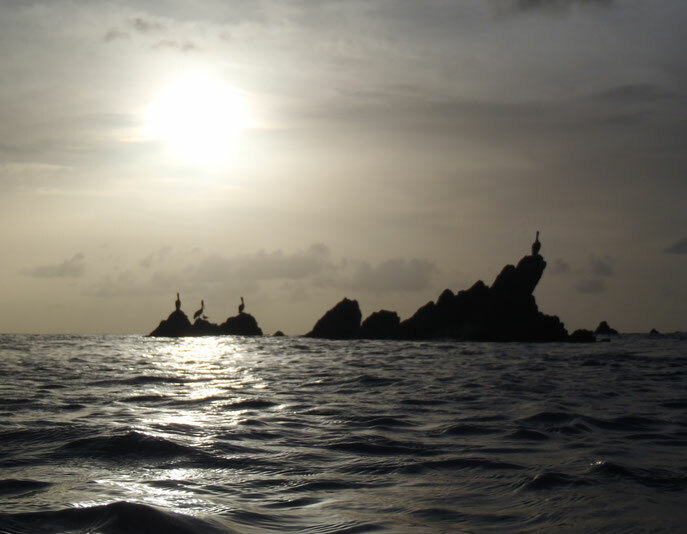 Fortunately, NGOs like Sea Sheperds UK started to speak up. You can find Florine at worldadventuredivers.com, on facebook, twitter and instagram. A very memorable walk with two young girls from Ardtalla to Proaig in May 2004. "It's only a mile" Dad said confidently with his long long legs! "It's a magical place". The girls moaned and groaned as they struggled over hillocks and through bogs, got attacked from above by mad terns. They finally reached the bothy, sat down for a long awaited picnic and it really was magic. Their seat was a mass of beautiful stones and shells with very special cowries all around. An otter swam straight in to the beach with a very big fish and ate it in front of their eyes. Much later as they walked quietly and carefully back to the picnic they spied a fluffy little chick on the beach. 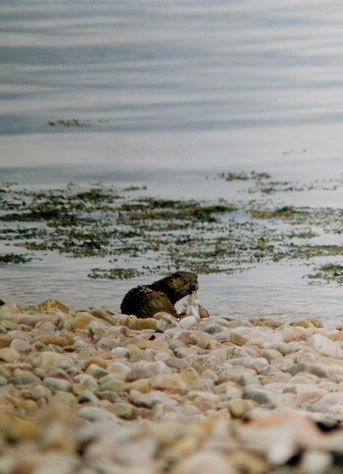 The Isle of Islay is a perfect place for terns and otters because of the wildness and diversity. Terns migrate and come to Islay to nest in spring and summer. 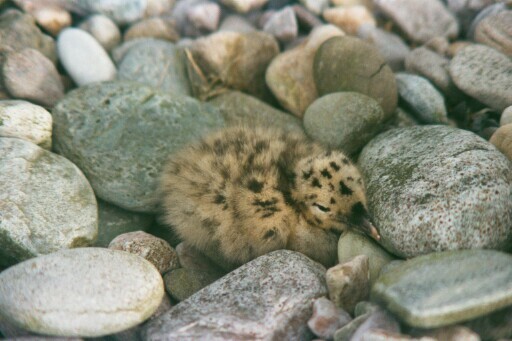 They nest on stony/pebbly beaches, where they find perfect camouflage from predators. Part of the coastline has very rocky reefs with Kelp beds teaming with marine life. This is also perfect for otters, who are shy mammals who dive for fish, starfish, crabs and sea urchins. Sadly although the beaches on Islay are so wild, this does not exclude them from the world's plastic rubbish, which has to be cleared in van loads every year. Mary-Ann is my mum, you can now finally come and stay in my family's house on Islay or visit their blog about its renovation. They also use twitter sometimes. Here is my picture of a great white shark, photographed during a responsible shark dive off the coast of Port Lincoln, South Australia. Unlike many tour operators that feed or bait sharks to attract them to the boats, disrupting their natural habits, the operator I chose plays music underwater - heavy metal, of course, as the sharks are attracted to the beats. So we saw no gaping mouths with bloody fangs, only the ghostly silhouette of these stunning sharks floating in the depths. An image that, to me, is worth a whole lot more. You can find Margherita and her husband Nick at www.thecrowdedplanet.com, on twitter, facebook and google+. 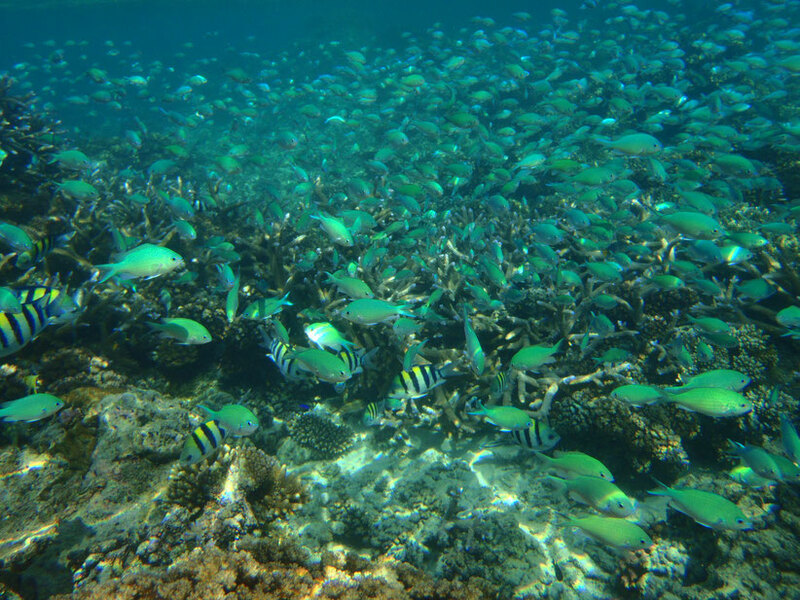 Seen around Nanuya Balavu Island, Fiji, I'm pretty sure these are Green Chromis fish, but please correct me if you know better! From a certain angle, it would be easy to mistake them for glimmers of reflection from the water's surface, but these tiny creatures are just one of thousands of species which rely on Earth's coral reefs. The human dangers coral reefs face seem almost insurmountable. Along with careless tourism, fishing and development, they are also threatened by climate change. When temperatures are too high, the relationship between corals and their symbiotic microalgae breaks down causing "bleaching." Over time, the loss of these relationships along with an increase of diseases in warmer water, has lead to the destruction of many corals around the world. In addition, as carbon dioxide dissolves into the water, oceans become more acidic, stopping corals absorbing calcium carbonate. This destroys their stony skeletons and lets the reefs dissolve into tiny particles. Unless something changes fast, this whole environment will be destroyed. This one was by me. You know where to find me I hope (facebook, twitter, pinterest). Previously having only caught a glimpse of one large turtle spurting into the distance, I can't describe how excited I was to find this one on the Great Barrier Reef back in 2010. A little older and better informed, I would save my snorkel for somewhere more remote these days, but at the time I was fulfilling a life-long dream. 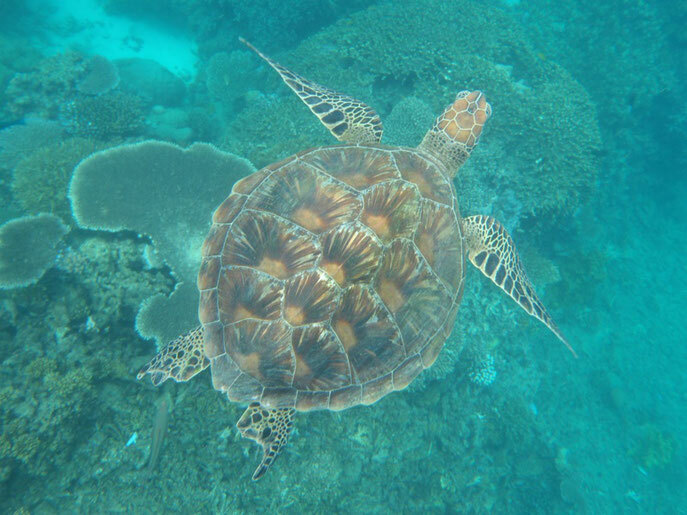 Green turtles are the only herbivore among the various different species. Much like the Leatherbacks, Black and Olive Ridley turtles mentioned by Patricia, these sea creatures rely on sandy beach nesting sites. On Australia's popular East coast, building development and busy tourist seasons have narrowed their seagrass bed habitats and destroyed a large proportion of their nesting grounds. By grazing on algae and seagrass, the turtles help keep their habitat healthy and recycle nutrients into the food-chain. 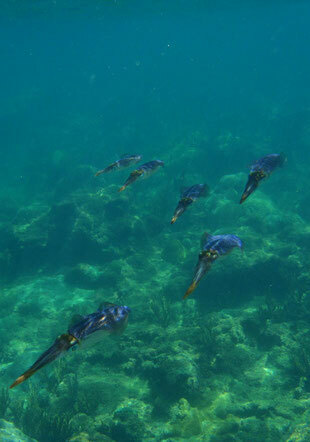 Seagrass beds also function as nurseries for several species of invertebrates and fish. Though accidental by-catch through fishing is a threat to turtles, Australian prawn fisheries have introduced the use of "Turtle Excluder Devices" which use a grid to guide the turtles out through an opening in the net. The prawns pass through the grid and still get caught. In the Northern Prawn Fishery turtle by-catch was reduced from about 5500 during 1999 to less than 50 the next year. Milford Sound is perhaps New Zealand's most famous fiord, a glacially formed valley opening to the Tasman Sea. Peaks rise from the water and tower over those who pass beneath -- humans, as well as the many native species which call the fiord home. 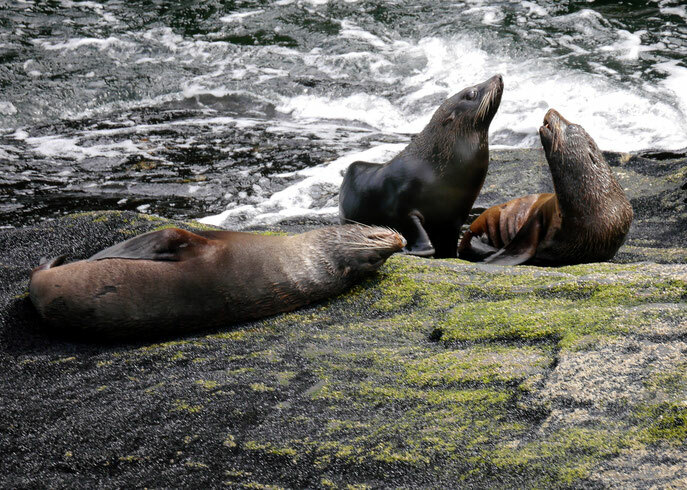 The New Zealand fur seal, or kekeno as it is known in Māori, is one of the most easily viewable forms of wildlife in Milford Sound. Groups of them sunbathe on rocks, flapping flippers and bellowing as they laze the day away. 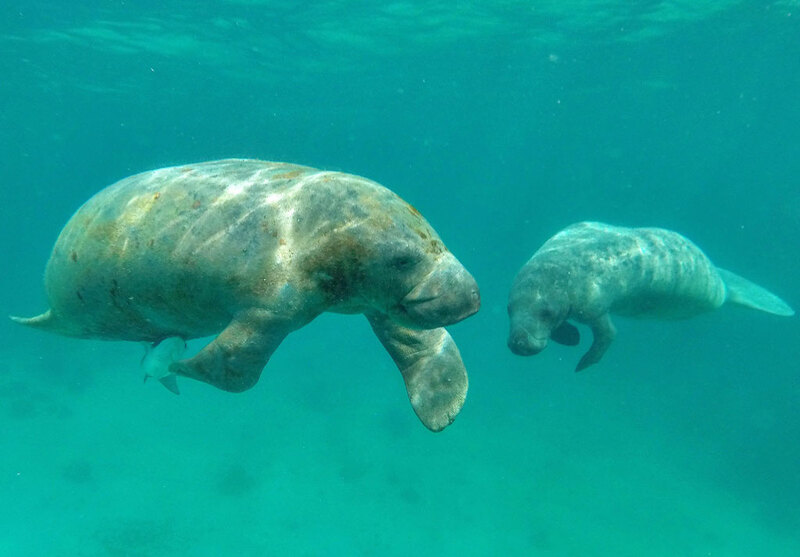 The pups are usually the most active -- if you're lucky you might see some playing in a tidepool. Kekeno are something of a conservation success story. They had been hunted nearly to extinction by the end of the 19th century, with a population reduction of 90%. Officially protected since 1978, the kekeno is a species on the rebound with a total population of about 200,000 animals -- a number which is on the rise. You can find Nathan at openroadbeforeme.com, on facebook, instagram and twitter. Endemic to the country, New Zealand dotterels are an endangered shorebird. 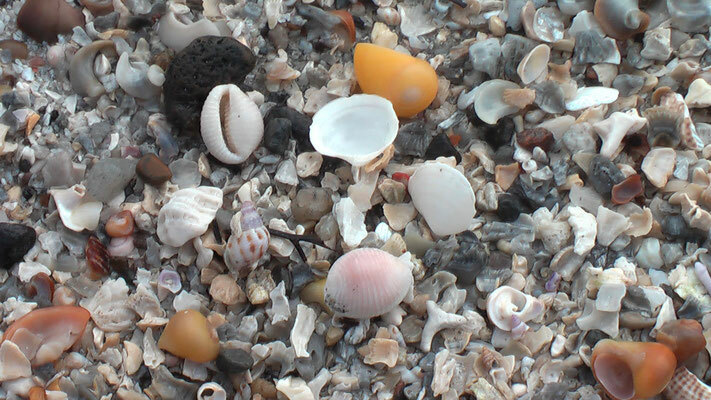 They camouflage well in the sand, but unfortunately tend to nest too close to humans, putting their eggs at risk. The rusty red belly is a sign of breeding season. 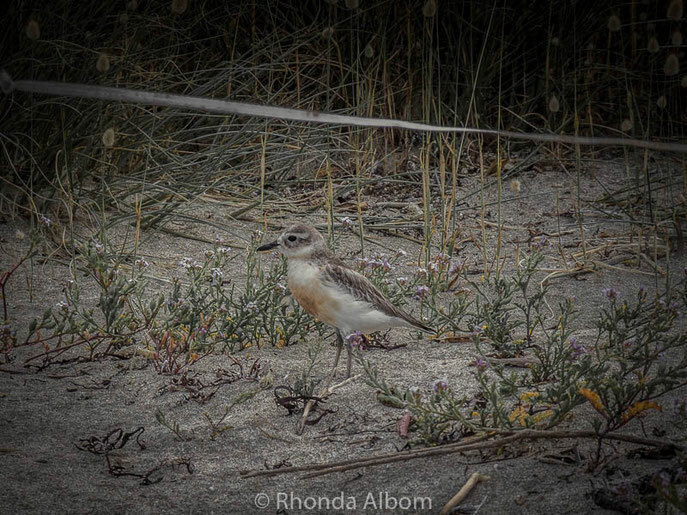 This NZ Dotterel was spotted along with her chicks on a beach in Shakespear Park, just north of Auckland. The Park Rangers immediately rope off the area to offer some protection. You can find Rhonda at www.albomadventures.com, on facebook, twitter or pinterest. Consult the Good Fish Guide for help in choosing fish that can be eaten sustainably. Conduct your own beach clean. If you're on twitter, use the hashtag #MiniBeachClean to show your support for Surfers Against Sewage. To avoid the problem in the first place, try to buy less plastic, dispose of your rubbish properly and recycle what you can. Plastic is often mistaken for food by marine life or can trap and injure animals. Over time, a whale can starve to death as its stomach becomes lined with bags mistaken for jellyfish. If you live in a country with drinkable tap water, invest in a metal bottle for water on the go, avoid cosmetics with plastic microbeads, remember your shopping bags etc etc etc... It's all quite obvious, but the challenge is integrating this kind of thinking into your lifestyle. Make it a priority. Reduce your energy consumption and help slow down global warming, the rise of sea level and ocean acidification. Climate change is destroying everything from the poles to coral reefs. Try to use fewer chemicals in your home and garden. Chemicals such as pesticides and household cleaners can find their way into water systems and eventually into the sea. They build up through the food chain of ocean life and accumulate in larger predictors making them sick. Try not to add to already crowded destinations. Spread yourselves out. Only dive with an environmentally conscious company. 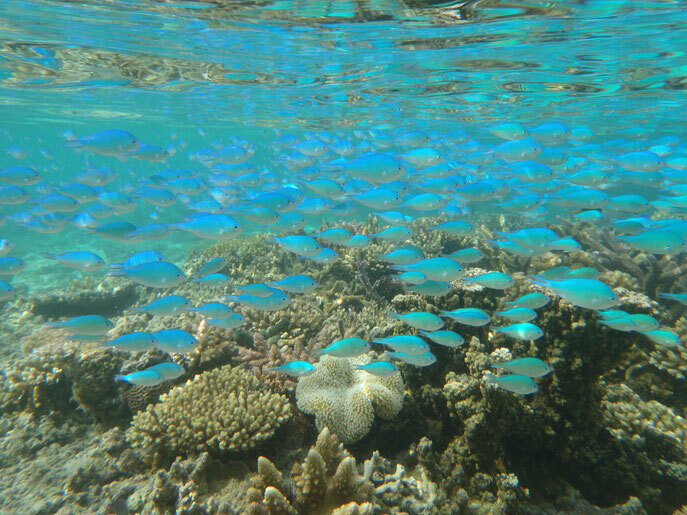 Check they don't feed the fish and if the company uses a mooring buoy instead of an anchor which will damage the reef. Avoid touching the coral, control your buoyancy so as not to crash into it (practice somewhere safer first) and never grab hold of animals! For more knowledgeable tips have a look at this guide on We Blog The World. If you own a boat, have a look at this green boating guide. Remind people why it's important! I have been writing about some of my own beach cleans in Sagres and Malhão, Portugal. Caqalai, Fiji- my favourite place on Earth. Camping on the beach at Cabo Blanco, Peru.